Fall Into First: April Fool's Day! Have you seen Lesson Plan SOS's April Fool's Joke?! I tried it today, and it was AWESOME! I firmly believe that teachers should receive some kind of bonus pay for showing up on April Fool's Day! Listening to young children tell April Fool's Jokes all day is EXHAUSTING! But if you can't escape beat them...join them! There was a (quick) moment of silence as the students tried to comprehend what had just happened, then the protests began! "Hey, we thought it would be the kind of brownies we could eat!" They were so cute and my one little guy said "You got me Mrs. Neal, you really got me!" 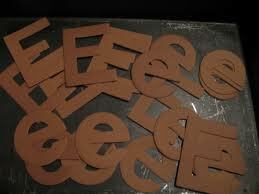 Of course I felt bad, so I gave them real brownies. 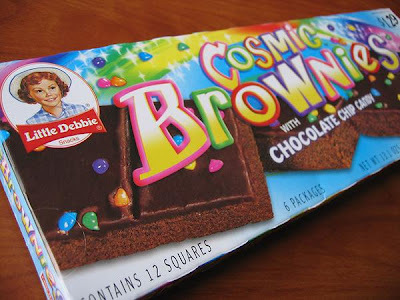 Oh how I love Cosmic Brownies! by and check out some of their amazing ideas.